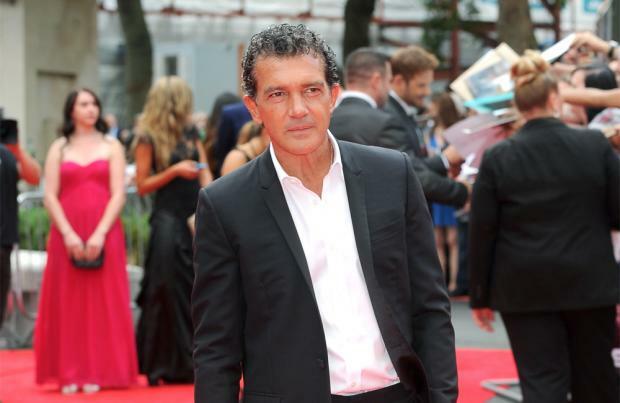 Antonio Banderas feels like he's "survived" the last 24 years in Hollywood. The 55-year-old actor has taken on the role of Chilean miner Mario Sepúlveda in 'The 33', about the mining accident in 2010, and Antonio has joked he's been forced to adapt survival techniques to make it through his film career. He said: "Have I been in danger like that in my life? I've been living in Hollywood for 24 years, and I've survived it. So, yes, I know about that." Antonio will portray the struggles the miners endured when they were stuck underground for 69 days and the filming experience made him reflect on his own life. He told Azcentral: "Sometimes we take life for granted, and only when you have to face death, right in front of you, will you appreciate the essentials." "And what is that thing that is essential, that is really important for me? It's not money, it's not a new car, it's not a fashionable house or a yacht or anything like that. "It's just a hug from my sister or my mother, the eyes of my daughter. We forget that, and the movie becomes a reminder of those things."